The Studium Catholicum is a Catholic cultural centre located right in the centre of Helsinki. French Dominicans founded it in the year 1949. The Dominican Order, with the agreement and cooperation of the Diocese of Helsinki, is in charge of the centre. A team consisting of brothers and lay people run the Studium's daily activities. The goal of the Studium is to offer a possibility to reflect on the content of the Christian faith with the help of Catholic tradition. Catholics naturally, but also Lutheran and Orthodox Christians as well as people with other religious backgrounds or without any religious affiliation are equally welcome. There are many reasons for people to become interested in what the Catholic tradition has to say, and all these reasons deserve understanding and respect. The Studium has a lecture room. We organize a wide range of lectures dedicated to Theology, History, Ecumenism, Art, as well as seminars on different topics. These events are publicised through our Studium News page. The Studium is also home to a number of group gatherings, such as Third Order laity (Carmelites, Dominicans), etc. We also have a chapel. Lauds and Vespers are sung every day in the Studium Chapel. Mass is celebrated several times a week. You are also invited to join a weekly ecumenical prayer group. Please consult the calendar for details. The Studium has a significant library with a collection counting more than 40 000 books and 60 different journals in various European languages (Finnish, English, Swedish, French, German, etc.). Come to study and to borrow books. The Dominican Order has a long history. In 2006 it celebrated the 800th anniversary of the foundation by St Dominic of the first Dominican women's monastery in Prouilhe, France. 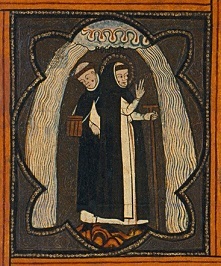 The history of the Dominicans in Finland is a rich one too.